The creator of "The Apprentice" says he does not have the legal ability to release footage from the show, denying reports that he is intentionally blocking the release of footage that may harm Donald Trump. The statement from Burnett and MGM, which owns his company, comes two days after BuzzFeed News reported that Burnett had privately threatened to sue staff if they leaked tapes to the press -- a claim Burnett and MGM also denied. 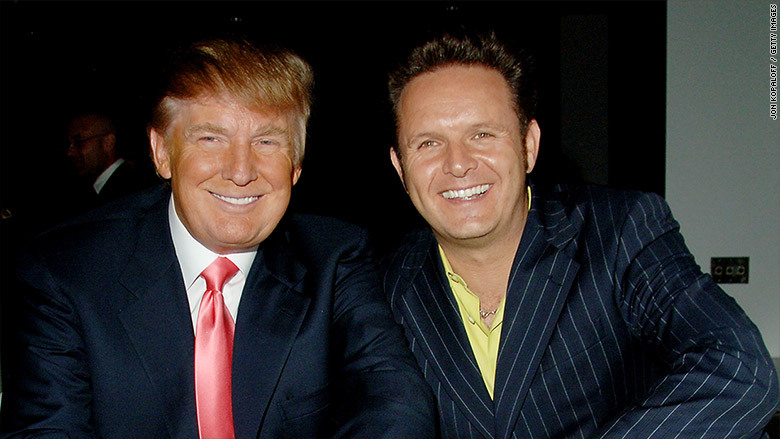 "Despite reports to the contrary, Mark Burnett does not have the ability nor the right to release footage or other material from The Apprentice. Various contractual and legal requirements also restrict MGM's ability to release such material," the joint statement reads. "The recent claims that Mark Burnett has threatened anyone with litigation if they were to leak such material are completely and unequivocally false." Tapes from "The Apprentice" have been in high demand since Friday, when The Washington Post unearthed footage from Access Hollywood in which Trump, then recently married to his current wife Melania, bragged that he had sexually assaulted women. On Saturday, BuzzFeed quoted an anonymous source who said Burnett "is pro-Trump and has made clear to his teams that he will sue anyone who leaks" footage from The Apprentice. In the joint statement, Burnett and MGM said Burnett "has consistently supported Democratic campaigns." A BuzzFeed spokesperson told CNNMoney, "We stand by our reporting."